Patrick Fuller is the Sr. Director of Legal Intelligence at ALM Intelligence. 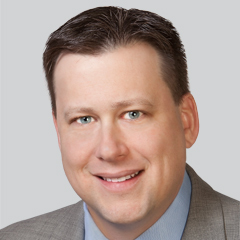 He is an accomplished Executive with nearly 20 years of experience within the legal profession.Most recently, he’s served as the VP of Business Development for AI start-up Neota Logic, and previous to that was the Director Legal Analytics for Wolters Kluwer’s ELM Solutions, working with legal departments to define, measure, and take action on key performance indicators for law departments and operations. Over his career, he’s had roles in business development, senior management, and consulting. He is a frequent author and lecturer who has logged more than 200 speaking and authorship credits within the legal profession over his career. Patrick is a Fellow in The College of Law Practice Management.